There are a number of means of both reducing and paying what you may owe the IRS. 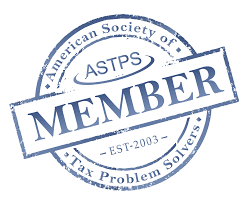 Once you are in compliance with tax code, meaning you have filed all your returns and are paying tax withholding and/or quarterly estimated tax payments, we can work on resolving any remaining tax liability through tax settlements or negotiations. Do You Really Owe the IRS? First, do you actually owe the IRS as much as they say? We have been able to prove the IRS wrong in many cases where taxes due were overstated. That often happens when the IRS has calculated your taxes for you (without any deductions or credits) because of delinquent tax filings or un-filed returns, and we file an appeal. Finding you owe less is a much better starting point for any conversations. If you owe, then Fresh Start might help. This used to be called the Fresh Start Program. It’s a series of IRS collection procedures and policies that are designed to make it easier for taxpayers (and small businesses) to pay back what they owe and avoid tax liens, or have existing liens withdrawn. 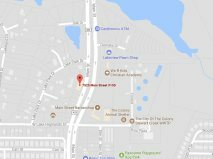 What’s an Offer in Compromise (OIC)? When there is very little chance you can pay the full amount owed (you may have to prove your financial condition showing no possibility of paying the full amount), we can consider an Offer in Compromise, or lower negotiated amount, as a solution. While the OIC or an Installment Agreement (time payment plan) may be possible, the IRS will only consider making a deal with you if you’re following all the rules now. That helps us prove you are trustworthy. The Voluntary Classification Settlement Program is an option for businesses that have been paying a group of workers as 1099 (independent) contractors when they were legally employees. An employer voluntarily reclassifying employees may be able to pay as little as 10% of the actual taxes owed, without interest or penalties. But, you have to bring it up before the IRS does. If you’re currently under a federal employment audit, the plan isn’t available! (If the state is auditing you, but hasn’t yet completed their audit or referred you to the IRS, you may still qualify for federal employment tax amnesty). It’s scary to know the IRS has complete control, reach and power over your funds and property, and can attach (secure) or levy (take) your assets if they want to use them to pay your taxes and penalties. Don’t wait for a Federal Lien or Tax Levy and hope your issues go away. 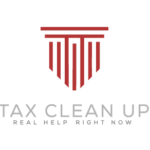 Contact Tax Clean Up at 214-617-2020 and speak with a tax professional that can help solve your issues quickly.